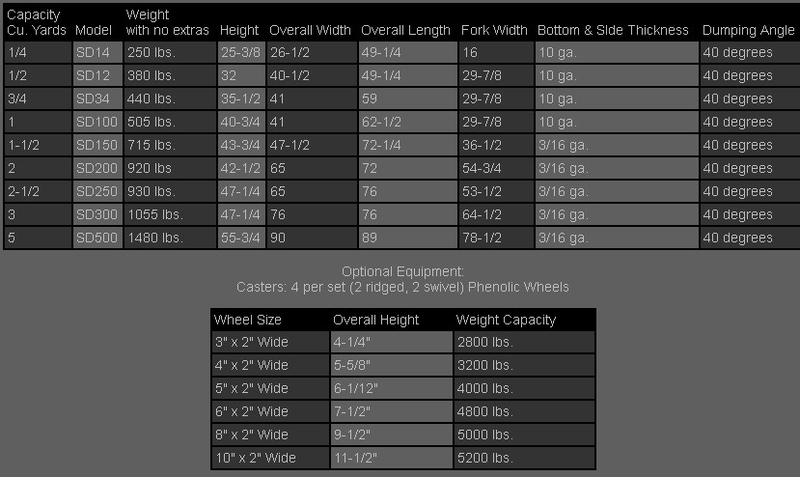 Lowest pricing and fastest deliveries on all standard and custom models. 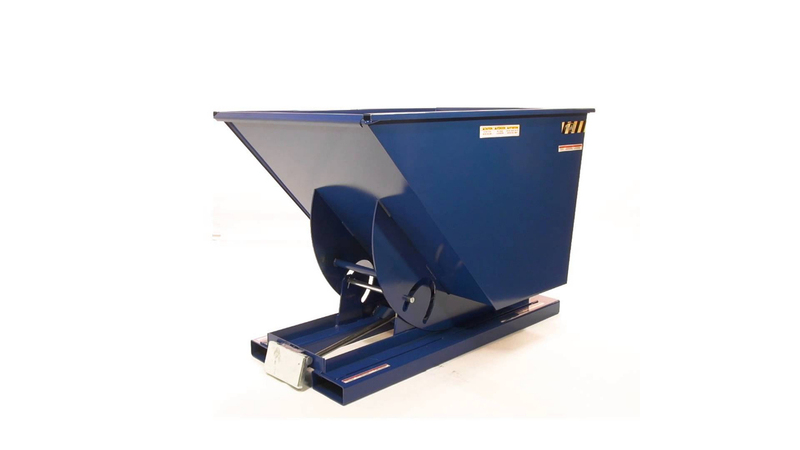 KW Materials Handling also carries the Vestil bumper release self dumping hoppers. No leaving your forklift seat or pulling any levers or cables. 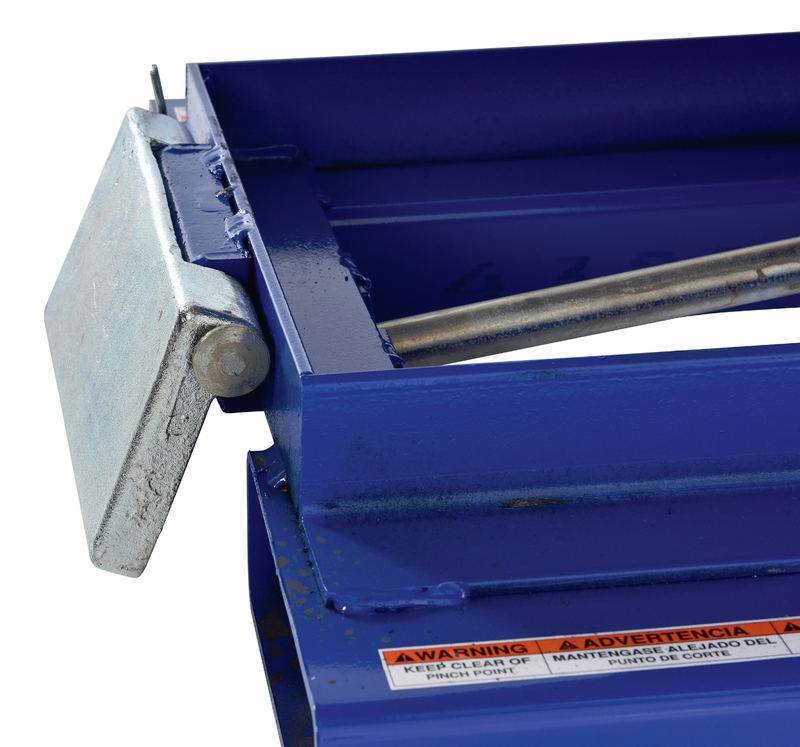 Hopper automatically dumps when bumper release contacts side of dumpster. Hopper returns to an upright and locked position automatically after it dumps. Also includes a cable that may be operated from the seat of the fork truck to manually dump the hopper. 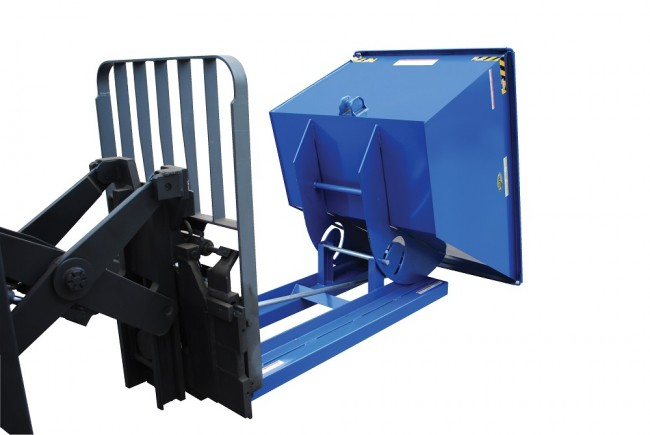 A locking chain is provided to secure the hopper to the fork truck. Usable fork pockets are 71⁄2"W x 21⁄2"H. Constructed with durable, consistent robotic welds. D-33, D-50, D-75 and D-100 are stackable if you stack the top hopper turned 90° from the bottom. Base fork pockets are 3/16" thick. Powder coat blue finish ( standard ) or any other colour. 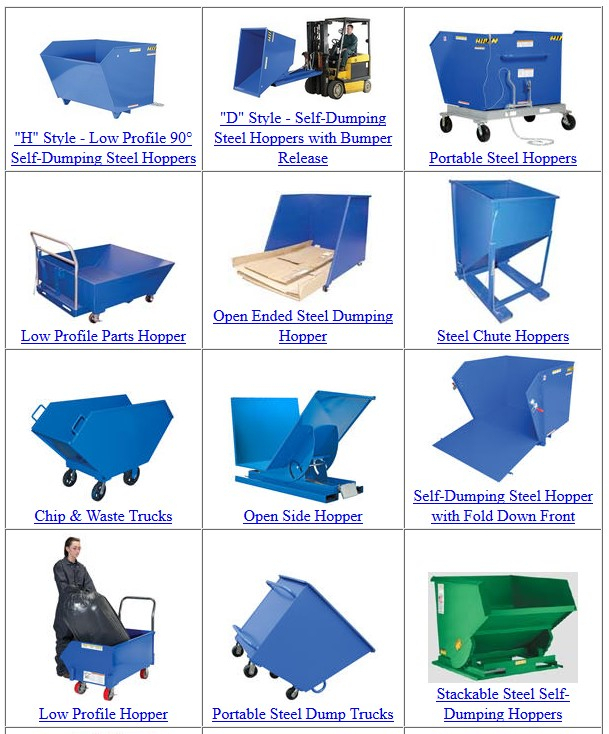 KW Materials Handling can supply any special or custom self dumping hopper. 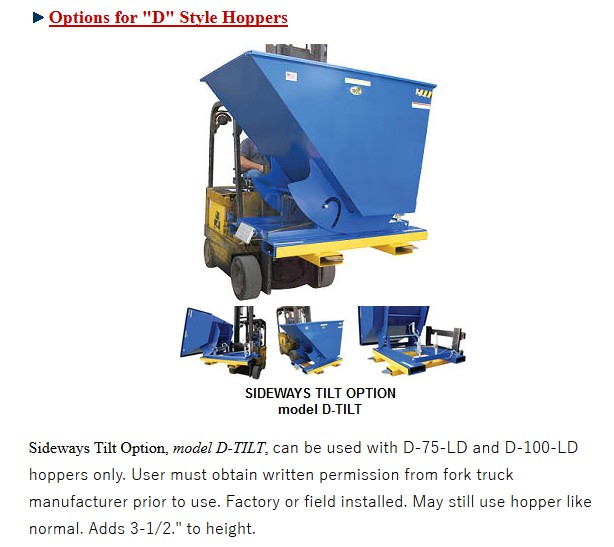 We have more standard styles of hoppers available than anyone else. 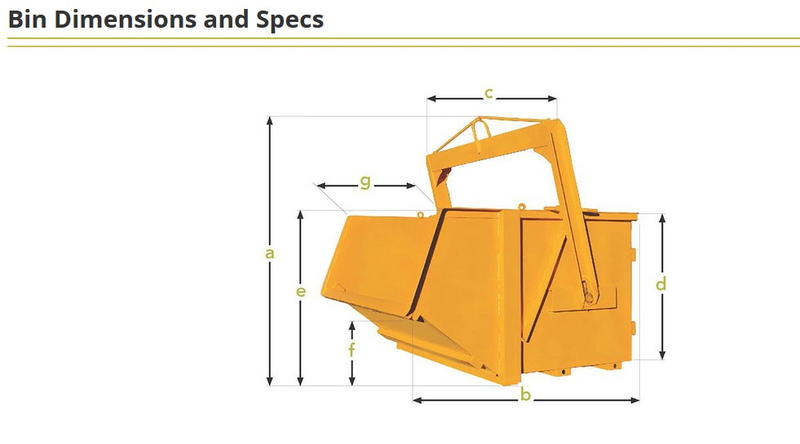 We can supply a dumping hopper that is specific to your application and requirements. 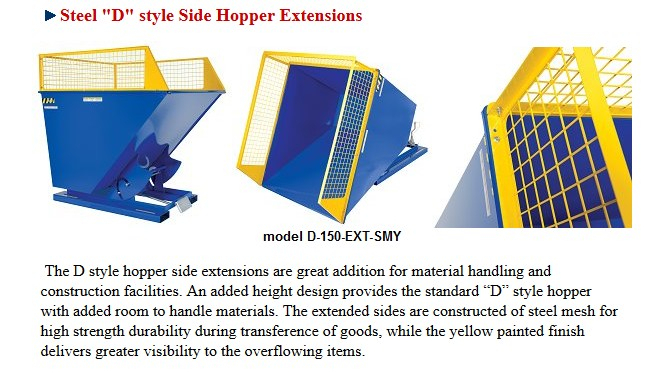 KW Materials carries the following styles of hoppers. 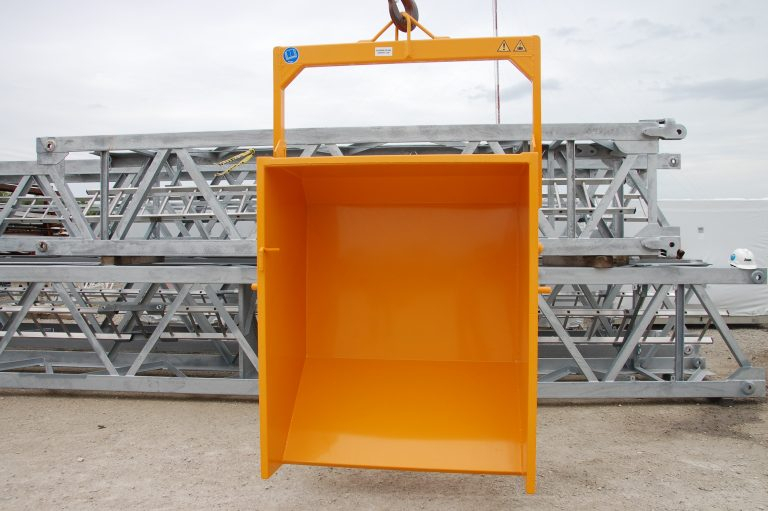 Crane Self Dumping Hoppers, also known as Crane Bucket bins or Crane Dumping Boxes ( Crane Skip Box ) are designed for use in construction and manufacturing applications. 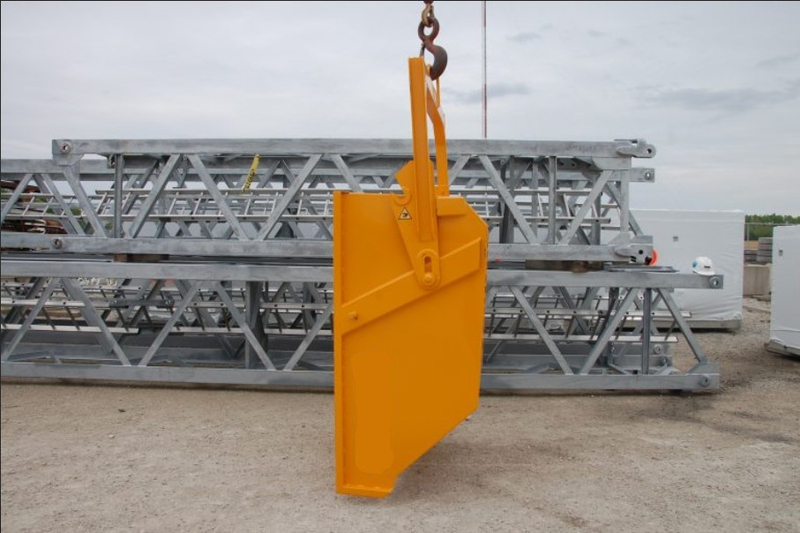 Our Crane hoppers can be moved into place with an overhead crane for easy dumping of contents. 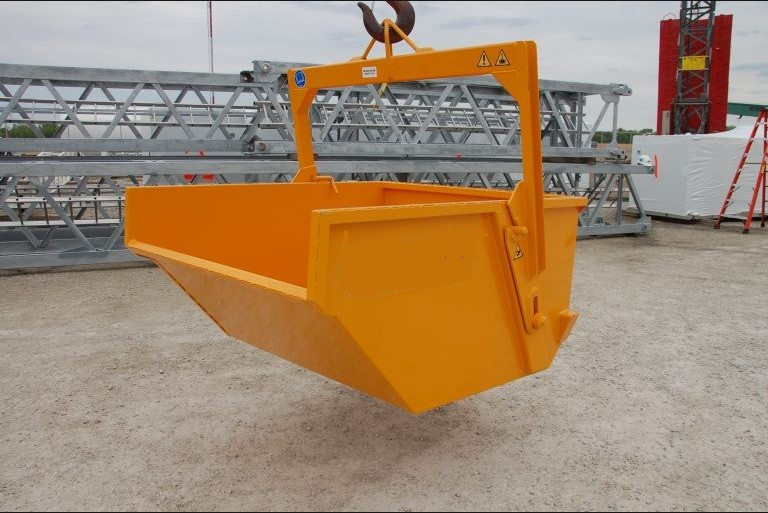 Self-Dumping Crane Hoppers are designed for use in manufacturing plants, mills and heavy construction sites for fast, safe and economical handling of bulk material and scrap. The smooth bucket interior allows for the clean, complete dumping of materials. After dumping the Crane Hopper easily returns it to its upright latched position.